If you do not know your HIV status for fear of being stigmatised, you should grab a self-test kit and do the test yourself. The individual undertaking the test has control over the test, it gives confidence and it removes issues of stigmatisation. Nigeria's record on prevalence of HIV/AIDS is not certain, but the new strategy will help in this regard, the government hopes. The Nigerian government says it has adopted eight new test kits to fast track the fight against HIV/AIDS. Some of the kits will also enable Nigerians test themselves of certain ailments and also carryout other relevant tests. 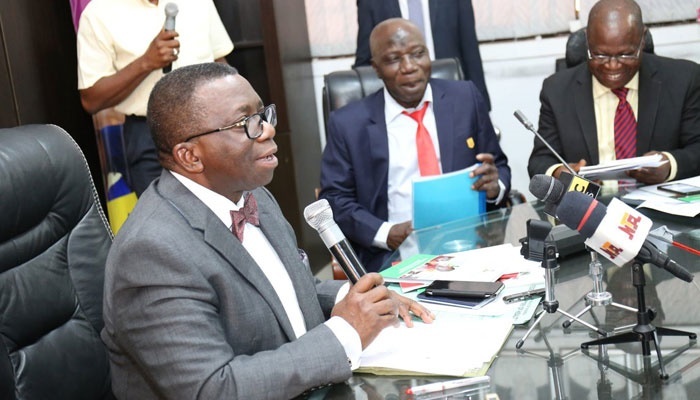 To keep people informed as regards the new strategy, the Minister of Health, Professor Isaac Adewole, on Tuesday held a dissemination meeting on an evaluation report on Amethyst HIV 1 and 2 Self-test kits, and 10 anti-body based HIV rapid Test Kits 2016. It is a breakthrough that would allow the government interfere with the algorithm. “For confirmation, the second line, we have adopted Diaquick, First Response, Care start, HIV status and Multisure. “For breakers we recommend Multisure and HIV status,” he said. "He, however, stressed that what is being put across as the Algorithm is what the government might use in the country," he further explained. 3. 90 per cent of the people on treatment have their virus suppressed. Another report on evaluation of Amethyst HIV 1 and 2 self test kit (Saliva cassette) was also disseminated by the Ministry of Health. According to the report, Amethyst HIV 1 and 2 self test kit was evaluated using kits approved in the National Algorithm. “The oral kits gives sensitivity, specificity and accuracy of 93.9%, 92.8% and 93.2% respectively. “The use of the oral Amethyst HIV 1 and 2 self test kit for self testing for the presence of HIV 1 and 2 in mucosal samples is recommended by the ministry,’’ the report said. This evaluation and tests are targeted at encouraging Nigerians to do self test, as a way of eliminating issues of stigmatisation. “We believe it is a new innovation and new advancement we want to put in medicine. “We want to see more people conducting testing for HIV, genotype, DNA by themselves, in such a way that blood sugar and blood pressure is being tested. “Self test gives confidence; it takes away influence of providers, removes bias and stigmatization," Adewole said. Here is a tweet the Minister also shared on his Twitter handle on the breakthrough.